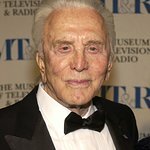 In celebration of legendary actor Kirk Douglas’ 99th birthday, MPTF (Motion Picture & Television Fund) announced plans to build a $35 million state-of-the-art care facility, to be named the Kirk Douglas Care Pavilion (KDCP), on its Woodland Hills campus. “Anne and I created Harry’s Haven in 1992 because we wanted to help families in the entertainment community struggling to care for and comfort their loved ones who have Alzheimer’s,” said Kirk Douglas. 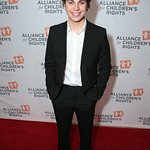 "What MPTF has done at Harry’s Haven over the past 25 years never ceases to amaze me. We wanted visitors as well as patients to experience a warm and loving environment, and MPTF has fulfilled our wishes admirably. The KDCP is expected to break ground in late 2016. It will be a two-story home for 80 industry members struggling with Alzheimer’s as well as long-term skilled nursing care needs. Residents of the KDCP will thrive in small “neighborhood” environments that look and feel more like home as opposed to the typical “hospital setting.” The KDCP will also include a wandering garden and other contemporary amenities and programs for its residents. To celebrate his birthday, Kirk Douglas and Jeffrey Katzenberg officially launched the KDCP website where visitors can take a virtual tour of the new building and learn how they too can participate in funding its design and completion. Katzenberg presented Kirk with a model of the KDCP, designed by Zakian Woo Architects in Culver City.